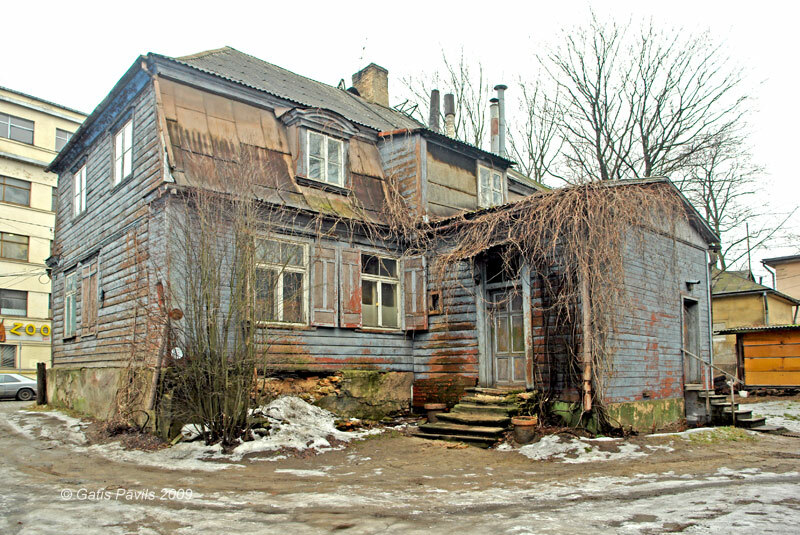 Year of construction: End of 18th c. - beginning of 19th c, end of 19th c. - beginning of 20th c.
The house has been built in the second half of 18th century - beginning of 19th century. Although now Schroeder house is located in the central part of the city, at the time of construction city was not here. Thus around the house there are household buildings - just as in rural farmstead. Up to the beginning of 20th century the manor was property of Schroeder family, up to the middle of 1930ies - property of leather manufacturer A.G.Dumpf with tannery nearby. Buildings of tannery were demolished without proper authorisation in 2004 in order to clear a place for future skyscrapers - "Z towers". 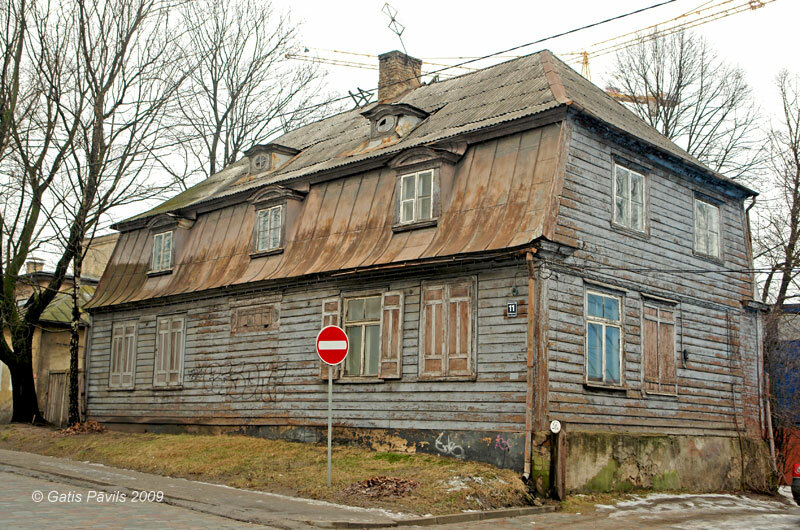 The house was rebuilt in Historism style at the end of 19th century or at the beginning of 20th century - at this time the house has been boarded. Schroeder house is wooden log building with two floors, with French roof, where the windows have retained Barocco forms. Up to recent times there was preserved a toilet from the age of Neo-Classicism from the first half of 19th century. The main entrance door has been nailed up long time ago and most likely this is the original door. The building has got a shape typical for Barocco style but many details - windows, doors, portal - have strong Neo-Classicism influence. Some ironmongery and inner doors have characteristic forms of Roccoco. 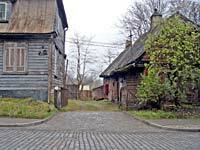 In the inner yard there is a group of wooden buildings in Neo-Classicism style - including an old household building which stands with an end towards the street. Central part of this building contained stable with cart-house, at both ends were located heated living rooms. 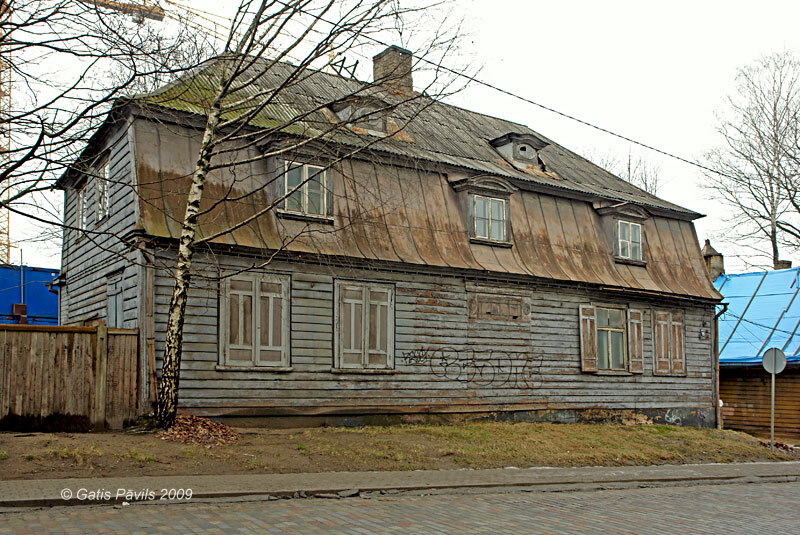 House of Schroeder in Daugavgriva Street 11. 2009.01.29. 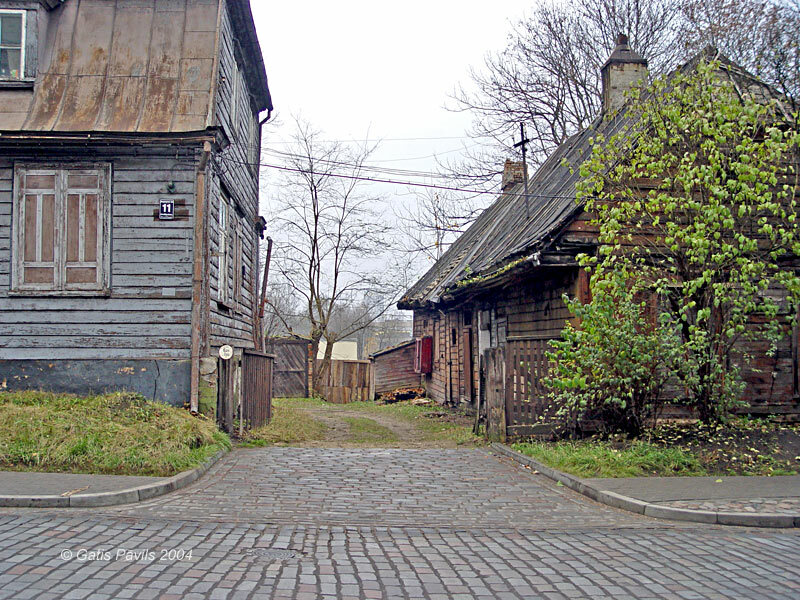 House of Schroeder in Daugavgriva Street 11 - view towards the inner yard. 2004.11.11. House of Schroeder in Daugavgriva Street 11, in the inner yard. 2009.01.29. Krastiņš J. Eklektisms Rīgas arhitektūrā, Rīga, Zinātne, 1988.,60,93,163,201,206.lpp. Enciklopēdija Rīgas ielas, 2.sējums, Rīga, 2008, 239.lpp.